Information is provided for the first year entrance exam for undergraduate program for MBBS & BDS. It is an all-India examination and will be held at various cities across the country. The centers for CMC Ludhiana Medical Exam 2019. CMC tries to allot the centre as per the order of applicant preference. However, the final decision of allotment lies with the University. City and address for the center of examination along with other relevant information will be given on the Admit Card. Timings of the exam are mentioned on the Admit Card and it is the responsibility of the candidate to reach the center on allotted date and time. The table below gives a summary of the course information for the CMC Medical Exam to be held in May 2019. Candidates need to appear for the CMC Admission Written Test 2019 to qualify. Candidates should be of 17 years of age or attain this age as on 31st December 2019. Persons of Indian Origin with Citizenship of other countries may apply under NRI category. No other foreign national will be admitted. Service Agreement for MBBS candidates is for a minimum period of two years after completion of the course in a hospital or institution managed by Christian Medical College Ludhiana Society or its member Body/Church. Christian candidates applying in MBBS who do not wish to commit to serve in a Mission Hospital should apply in the Open category. Candidates are advised to read the prospectus carefully before applying. The candidate would be required to submit a certificate to thiseffect from the Principal/Head of the Institution last attended in the prescribed Performa. Candidates who have appeared in the examination, at the time of submissions of the form for entrance test and their result of 10+2 is yet awaited, they submit a proof of having cleared the said examination at the declaration of the awaited result with requisite eligibility conditions. Board outside India shall apply to the Registrar Baba Farid University of Health Sciences, Kotkapura Road, Faridkot-151 203, Punjab., India http://www.bfuhs.ac.in to receive an Eligibility certificate for applying for admission to 1st year Undergraduate courses of this college. All candidates should have passed in all subjects of the qualifying examination of the Higher Secondary Certificate Examination (Academic) conducted by Central Board of Secondary Education or Indian School Certification Examination or a State Board or any other equivalent examination in one and the same attempt, after a period of 12 years of study in the subjects Physics, Chemistry, Biology and English. Candidates belonging to the general category must have passed in the subjects Physics, Chemistry, Biology (or Botany and Zoology) and English individually and must have obtained a minimum of 50% marks in Physics, Chemistry and Biology (or Botany and Zoology) taken together and a minimum of 50% in English individually. Candidates belonging to the general category must have passed in the subjects Physics, Chemistry, Biology (or Botany and Zoology) and English individually and must have obtained a minimum of 40% marks in Physics, Chemistry and Biology (or Botany and Zoology) taken together and a minimum of 50% in English individually. Candidates who will appear or have appeared in the qualifying examination in March / April 2019 and whose results have not yet been declared can also apply for admission, if other eligibility criteria are satisfied. All admissions to CMC Ludhiana, irrespective of quota are based entirely on the Admission Written Test 2019. Once registered, candidates will have to appear for a admission writing test in the subjects Physics, Chemistry and Biology. Candidates must obtain a minimum of 50% marks in the three subjects taken together. Christian Applicants should score 45% marks in their Bible Test. All admissions are based on Inter Se Merit i.e. 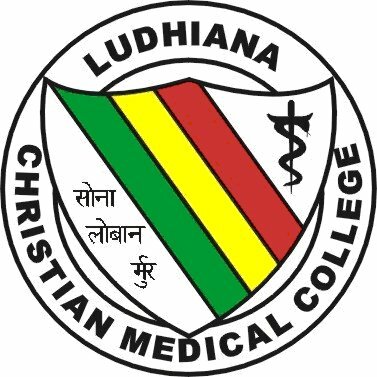 CMC Ludhiana Medical Entrance Test 2019. Faculty Development Category considers children of permanent staff of CMCL Society. Complete details of the admission process are given in the CMC Ludhiana brochure. For online application forms, candidates can download the form from the CMC website. The online application must be filled and submitted online. This must be followed by submission of signed print out of application form (mandatory) along with required enclosures. The candidate should acquaint himself/herself with all requirements with regard to filling up the application on-line as well as physical submission of application. Upload photograph and signature and other documents as stated. Incomplete application, application with false details would be rejected. Admit Cards for the Entrance Examination will be made available on CMC Ludhiana website by May 2019. The admit card will contain name and date of birth as typed by the candidate in the application, photo and signature image as uploaded by the candidate. Examination City allotted and roll number will also be given. Candidate registered for one center as given in the Admit Card shall not be allowed to appear for the test at another center. If a candidate is unable to download their admit card by May 2019 they should contact the registrar’s office and also send a copy by email or fax..
No candidate will be allowed to appear for the Entrance Examination unless he/she holds the Admit Card from the website of CMC. The syllabus for the common entrance tests (unless otherwise specified) will be a mixture of “plus two? level boards. Papers will be in Physics, Chemistry, Biology and General Aptitude. Please refer to course description in Prospectus. The CMC MBBS Entrance Exam 2019 will be a computer based entrance test. It shall carry multiple choice questions with five options from Physics, Chemistry, Biology and General Aptitude. Exam is designed to measure knowledge and understanding of subject matter. The test measures the reasoning, problem solving and analytical ability of the applicant. Use black pen for writing as well as darkening the circle. Carry extra black pens. Remember scratching or tick marking or darkening more than one circle will result in no marks. Candidates are advised to go through the Mock Test for various MBBS & BDS Entrance Examination – 2019. CMC Medical exam preparation 2019 is a popular UG Medical programme and the key to selection is to relax and study each concept carefully and thoroughly. You can opt for MBBS online coaching to be more thoroughly prepared. Join askIITians that will guide you on the correct way to study for CMC entrance MBBS Exam. They have the experience and the knowledge to mentor you on important topics, exam preparation methods and books that you should refer to while preparing. Here is a list of suggested books that can help you perform well in MBBS Entrance Exams 2019. CMC Christian Medical College Entrance Exam Vellore & Ludhiana: Previous Years Solved Papers and 10 Practice tests. Apart from the books mentioned above, study packages, guides and CDs for Medical Entrance Exams 2019 provided by askIITians. If you are using our study materials you need not visit any other sites. Become Exam Proficient: Become an expert on everything related to your CMC 2019 exam, be it the syllabus, the pattern and probability of questions. Make sure to go through previous year question papers. Remember if two candidates score the same marks then: first aggregate marks in Physics, Chemistry and Biology, followed by higher marks in Biology, followed by higher marks in Chemistry will be taken into account. Know Thyself: Knowing your own strengths and weakness is one of the most important aspects to be successful. Appear for mock exams to know your preparation status. Enhance your strengths and improve upon your weaker spots to be the best at your MBBS 2019 syllabus. Set A Time Table: A daily and weekly time table gives you clear cut goals, Be sure to allot time to each subject. Create small term and long term goals for all India medical exam syllabus 2019. Each topic can be subdivided to make it easier to understand and remember, Practice and revise continuously. Keep Your Notes Handy: Prepare crisp notes or visual maps for each topic. Ensure that all your notes are kept in a neat and orderly fashion. You do not want to waste time looking for notes on topics you wish to revise medical entrance MBBS study material. Schedule an Exam a Day: Schedule one sample or previous year’s exam in your daily routine. Ensure that you complete your exam in the allotted time. There are several questionnaires available on the net and you can do some of them here. Check the answers and revise your doubts and mistakes. Turn to Experts (Teachers & Counselors) and Friends for Assistance: This is not the time to be shy or nervous. When in doubt call, mail or simply walk into the offices of people you consider expert in the field of your study. Ask them for help, even if the questions seem silly to you. Chances are the experts will help you ace your medical preparation exams. Learn to Relax & Be Positive: You are bound to feel nervous while preparing for or appearing for CMC MBBS Entrance 2019 exam. One of the most important tricks is to learn to relax and keep a positive attitude. Take a deep breath whenever you feel overwhelmed, nervous or jittery. CMC Entrance MBBS previous years papers are also made available at askiitians.com, absolutely free. Check your answers against solutions provided for previous years CMC MBBS Entrance Exams. You will get limited time to solve a total of 200 questions. So, it is imperative that you practice all of them repeatedly to build up both speed and precision. Revision of all topics along with your paper solving abilities will definitely impact your chances of selection. Once the CMC MBBS Entrance Exam 2019 has been conducted, a detailed answer key will be provided. This will give you a chance to calculate your own eligibility while you await the final result. Please note that you may not be 100% sure of the answers that you have submitted while appearing for the online test. All candidates who have qualified will be eligible for counseling. Candidates will be called for selection as per rank in Merit List of the category they have applied / eligible for. There will be no separate selected and waiting list. Being called for counseling does not necessarily mean admission. The list of candidates provisionally selected will be put up on notice boards in the CMC, Ludhiana. Candidates can also access their results from the website.